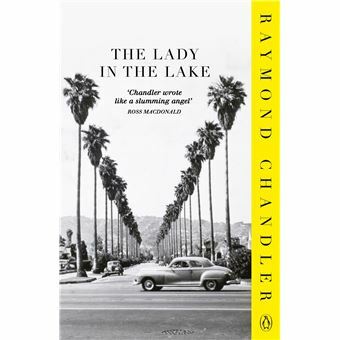 Though he was 45 when he turned to writing, and put out only seven books and a collection of stories, Raymond Chandler defined the hard-boiled detective thriller with his laconic private eye Philip Marlowe. Chandler's literate, shrewdly observed novels have inspired writers and filmmakers ever since, becoming classics beyond their genre. "Anything Chandler writes about grips the mind from the first sentence." --Daily Telegraph (London) Crystal Kingsley has gone missing, and her husband hires Philip Marlowe to find her; it seems the lady may have run off with a lover, though she's not the only wayward wife in this 1943 novel. When Crystal finally reappears--along with the body of her boyfriend--Kingsley ups the ante, asking Marlowe to prove his wife didn't do it. After a cop starts playing rough to get the private eye to drop the case, Marlowe doesn't care which lady turns out to be the guilty party--but then, he's not paid to care.